His Highness Sheikh Mohammed bin Rashid Al Maktoum, Vice President and Prime Minister of the UAE and Ruler of Dubai, today announced the launch of the region's first Museum of Middle East Modern Art. 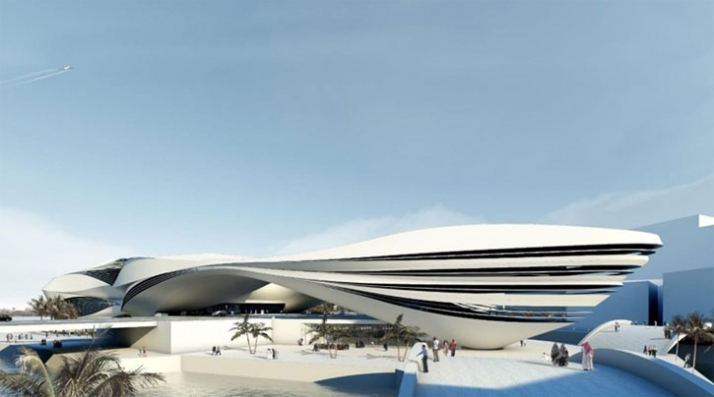 Located in Culture Village, on the banks of Khor Dubai (Dubai Creek) the museum has a striking design by world renowned architects, UN Studio, which brings together elements of the sea and Dubai's tradition of seafaring. His Highness Sheikh Mohammed recently reviewed the plans and location of the museum. He was accompanied by His Highness Sheikh Majid bin Mohammed Al Maktoum, the Chairman of Dubai's Culture & Arts Authority, HE Mohammad AlGergawi, UAE Minister for Cabinet Affairs and Chairman of Dubai Holding and Hashim Al Dabal, Chairman of Dubai Properties Group (a member of Dubai Holding), developers of Culture Village and the new museum. H. H. Sheikh Majid said: "The museum will be a manifestation of His Highness Sheikh Mohammed bin Rashid’s strategic vision of making the UAE a hub for multicultural understanding. The museum will be a celebration of the region's artists and art. It will also celebrate Khor Dubai’s importance as a cultural hub within a Dubai as a global city. The launch of the Museum of Middle East Modern Art comes in the wake of the decree issued by His Highness Sheikh Mohammed establishing Dubai’s Culture and Arts Authority and the recent launch of Khor Dubai project, aiming at highlighting the cultural diversity in the UAE. The Authority has been mandated to collaborate with various stakeholders including developers such as Dubai Properties Group as well as other culture and arts institutes and government entities in order to ensure the development of all couture and arts projects in line with best international practices. Culture Village will be located on 40 million square feet of land in the historic district of Jadaf. 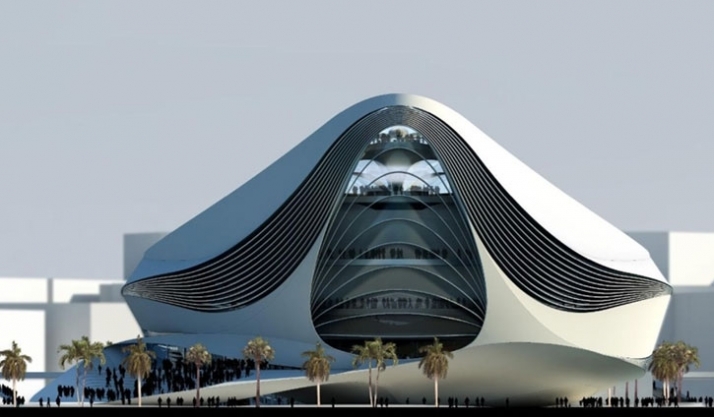 In addition to the Museum of Middle East Modern Art, the AED 50 billion landmark project will include an amphitheatre for live performances and international cultural festivals, an exhibition hall and smaller museums displaying local and international art, as well as a shipyard for traditional dhow builders. It will also include residential, commercial and retail zones. 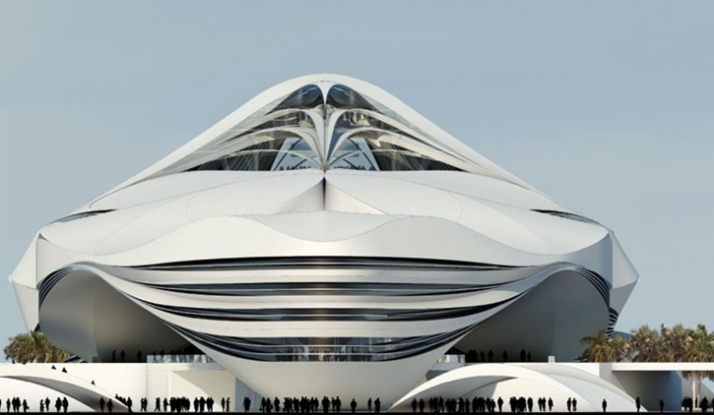 UN Studio, based in The Netherlands, has been selected to design the Museum. Ben van Berkel, the co-founder and Principal Architect of UN Studio is an experienced designer of museums and a variety of public buildings. Past examples include the Mercedez-Benz Museum, Stuttgart; Wadsworth Atheneum Museum, Hartford, USA; the renovation and extension of the Rijksmuseum, The Netherlands.